For a quick and easy dessert with delicious fresh berries and a creamy lemon filling, this is the perfect summer delight. With a variety of textures, a great combination of flavors, and an easy-to-assemble beautiful presentation, this dessert is a winner for a special dinner party, a Sunday lunch with family and friends, or even an outdoor barbecue. Enjoy summer with this light and refreshing dessert! With mixer, beat cream cheese until light and creamy. Beat in lemon curd, zest, and juice. To assemble, slice angel food cake into 3 equal layers. 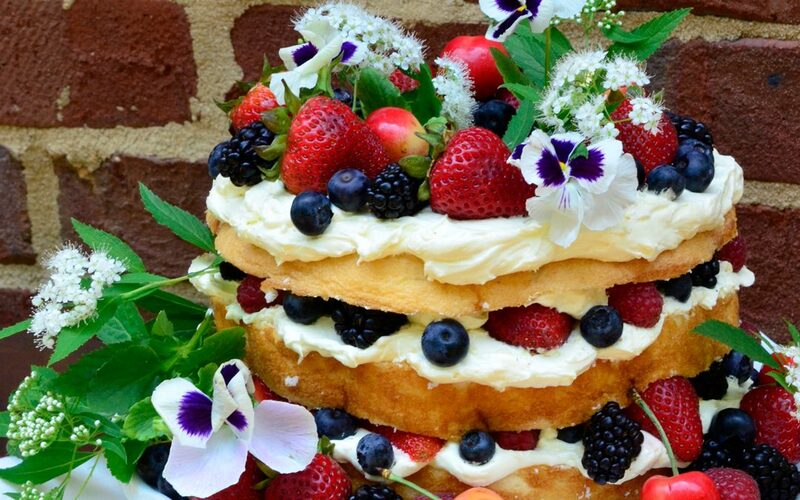 Spread and stack each layer with 1/3 of Lemon Cream Filling and berries. Refrigerate until serving.